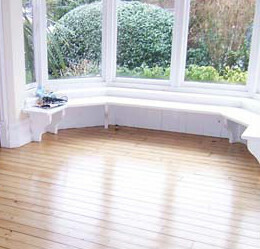 Our professional floor sanding services in Brixton, SW2 will help you keep the top condition of your floor. Our experts have years of experience in delivering floor sanding services. Wood floors provide that special type of comfort that no carpets or tiles can. But, unfortunately, they also wear out in the course of time. Yet, sometimes the damage might turn out to be reversible in certain cases. So, if you want to have your floors renovated, you might want to call our company. We provide an exquisite floor sanding service that is performed by means of excellent equipment and exceeds all standards. 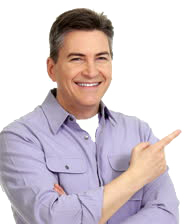 Our technicians have years of experience in its provision. And they will gladly take care of your floor boards, irrespective of your location – they cover all locations in Brixton, SW2 as well as the rest of London. My floor looks like brand new. Thanks a lot. The parquet in the living room was a bit dark, now it is shiny again! 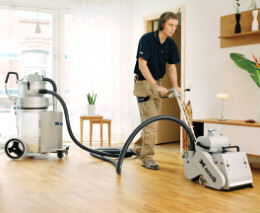 Great dust-free floor sanding service! You guys are amazing! Book a Floor Sanding Now! Floor sanding is a demanding job. And we understand the importance of it being perform in the most thorough manner. This is why we have tailored a three-step procedure that we follow strictly. Once our technicians arrive at your premises, they will first prepare your boards for treatment. This includes removing of all nails, staples and some such things, for they might seriously harm our machines. Then they will proceed with the actual sanding procedure which is performed in three cuts. The first two are carried out by means of highly abrasive paper. The third one is intended to apply finishing touches to the board and it is performed by means of finer paper. Our special offer of 10% off of regular prices applies to all our services. Give us a call for additional information. We can offer you the most competetitive prices in the industry. If you find a better price just call us and we will beat it! You need to know that we work with extremely innovative sanding equipment that releases considerably smaller quantities of dust. What is more, once we are done with the restoration of your wood floors in Brixton, we will apply excellent eco-friendly finishes, in order to bring the boards to their original shining state. And one last thing – you do not need to do anything in advance or, in other words, to prepare the floors for our treatment in any way. We will do that ourselves. In addition, we will gladly move all furniture pieces for you. Contact us and book our floor sanding. Our technicians cover all addresses in Brixton, SW2 and the rest of London, and will perform the service on any day of the week.